Want it by Wednesday 24th April? Order within 4 days, 19 hours, 50 minutes and choose Next Working Day - Kerbside Delivery (Order Must be Placed by 2pm) at checkout. 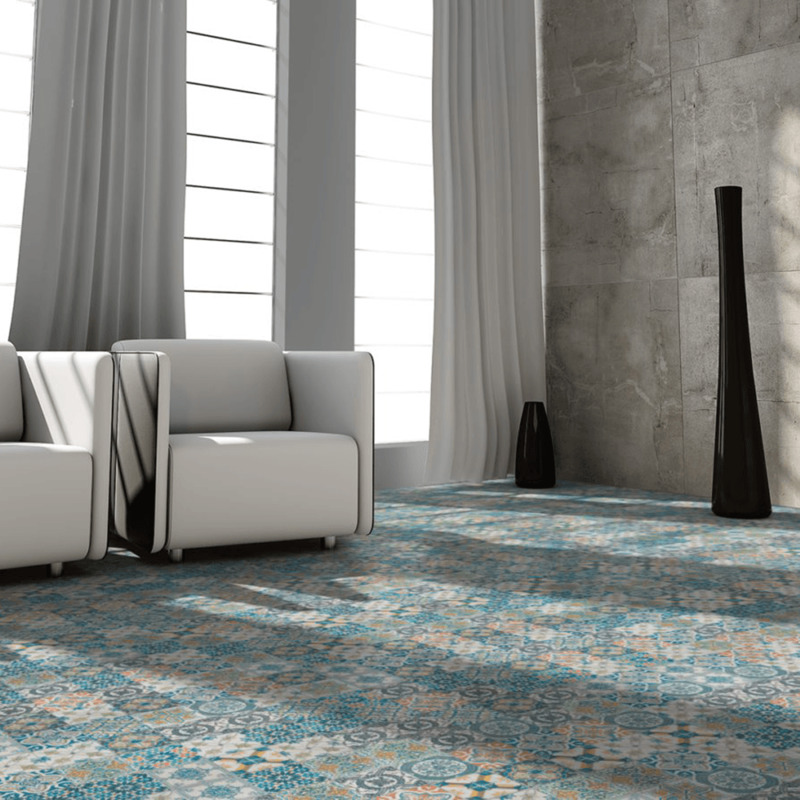 Mediterranean is a collection with a variety of colours and decors that look as interesting as a mosaic. They will give the interior a beautiful and unique appearance, similar to a Victorian tile effect. On the other hand, wide plank decors may be a great alternative for traditional wood flooring. The floors are easy to clean and when these panels are used indoors, they gain an exceptional and unique character. The patchwork appearance of the traditional hand laid tiles is replicated in our flooring through the misaligned pattern and grout. This will also ensure that your floor will be unique to your home once laid. Each laminate piece is finished with a smooth surface to give a sleek look, reminiscent of the original clay tiles. Made from HDF Core and 160mm wide, this floor will modernise your home, and as it is a flat edge floor. This is an AC4 Rated Floor, so you can use it in your home, and it will stand up to everyday wear and tear, It is suitable for any kind of light commercial property. As this floor has a click locking installation system, you will save time and money on the fitting process and have your floor down before you know it. The colours really tied in together and it reminded me of my visits to Greece. The Mediterranean tile effect laminate is something that I think everyone should have in their homes! 10/10 would recommend! This is a beautiful, classy laminate. The laminate quality is dense and the colours are subtle and blend well together. It’s nice and thick but flexible enough to click together easily. I find the colours refreshing and uplifting and it’s really nice to open the front door and step inside. It makes you feel happy. Great looking flooring. Relatively easy to put down. Does require a bit of thinking about if you are trying to get a random look as you can easily repeat the same tile design if you just put the boards down in the order they come out of the pack. Overall look though is fabulous.